The Dyson Supersonic hair device has been generating a ton of buzz in the local and the international beauty community for months now. Considering the fact that there hasn’t been any significant innovations in hair dryers in almost 100 years. I’m excited to see that Dyson is taking initiative in this department and leading the way for more innovative hair care devices. I recently got my hands on the new limited edition Black/Nickel Supersonic device just in time for a upcoming trip to Miami. I typically do not travel with a blowdryer as they tend to be too heavy and a waste of space. 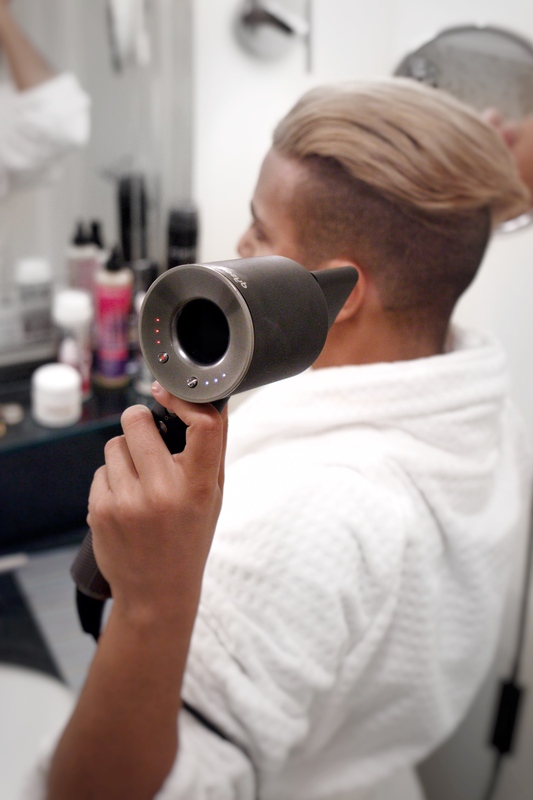 But considering the fact that this device is compact, and about half the weight of the average blowdryer. I decided to bring the device with me during my escapades in the sunshine state. If you are using a blow dryer regularly like myself, this device might be a bit strange to use at first. The weight of the device is concentrated in the handle and not the head. I’m happy to announce that my weight training regimen has finally been separated from my hair grooming routine. The device also has a powerful yet controlled airflow, which SIGNIFICANTLY cut my drying when I was getting ready to hit the town. In addition, my hair has been bleached several times making me very cautious of further damaging my hair with heat tool. With that being said, I’m happy to inform you that this device is temperature controlled which helps prevent unwanted damage of your precious locks (Yay)! All and all, I highly recommend this device. 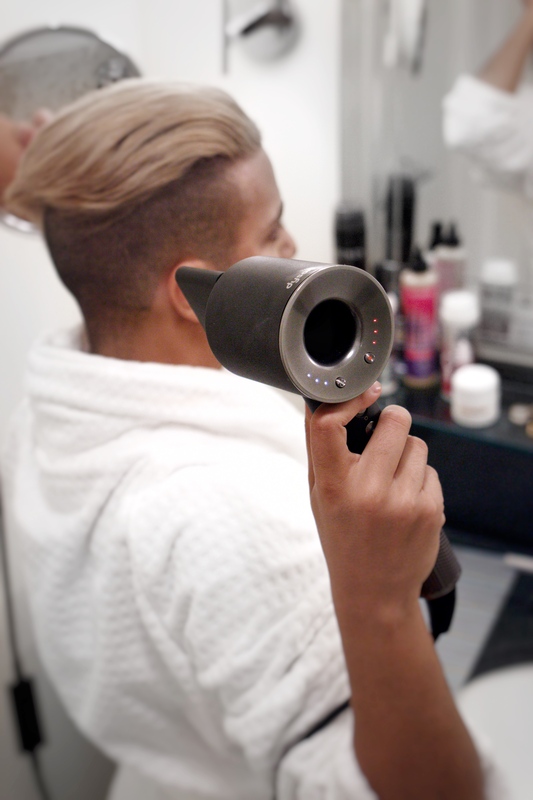 The device comes with 3 different attachments to help you create any look you desire, and If you blow-dry your hair regularly or are in the market to upgrade your hairdryer it will cut you damage and drying time significantly. I’m looking forward to see what innovations Dyson comes up with next! ← My top 5 – Miami Swim Fashion Week Must Haves!